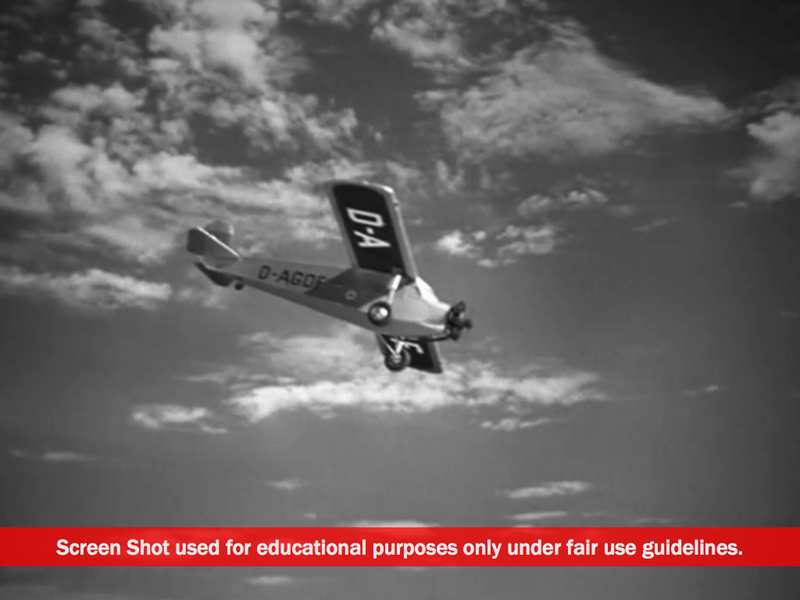 Among other innovations, the Twentieth Century introduced the idea of visual storytelling with film. 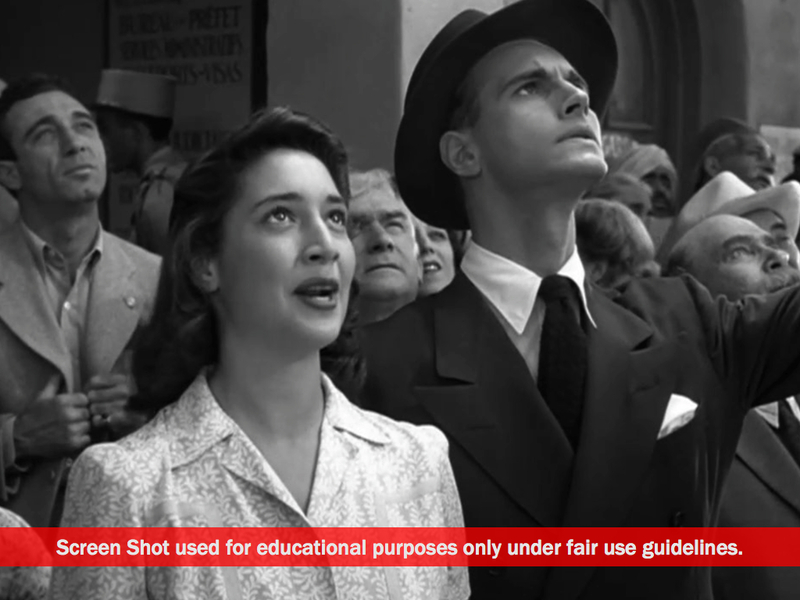 The medium has evolved over the years, but as in other art forms, there are films that are relevant beyond their time. 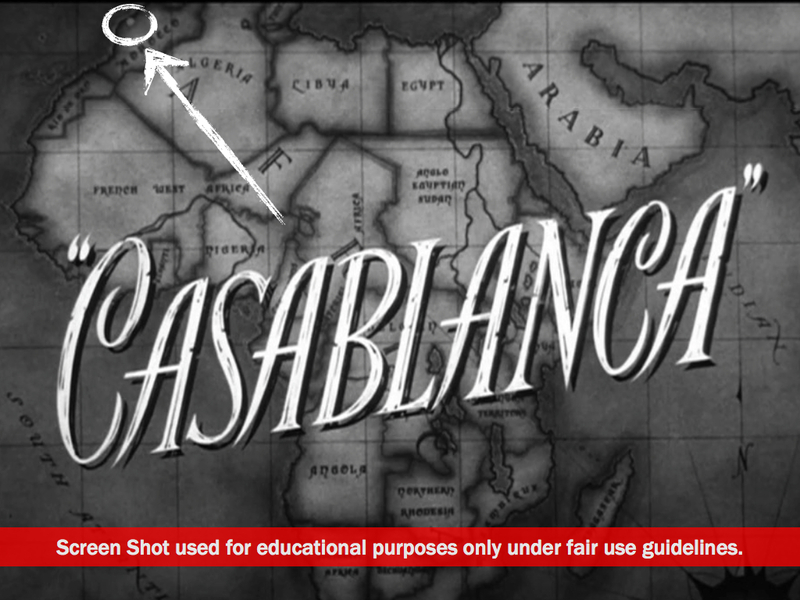 Casablanca, one of my favorite films, is one of them. 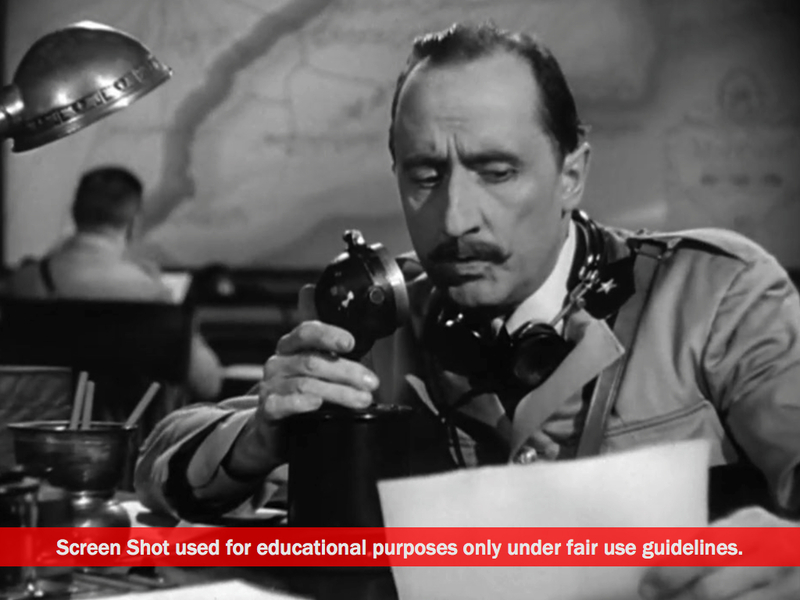 It is now more than 75 years old, but I have yet to get tired of watching it and want to spend some time considering it. I thought I would begin by telling the story portrayed in Casablanca. 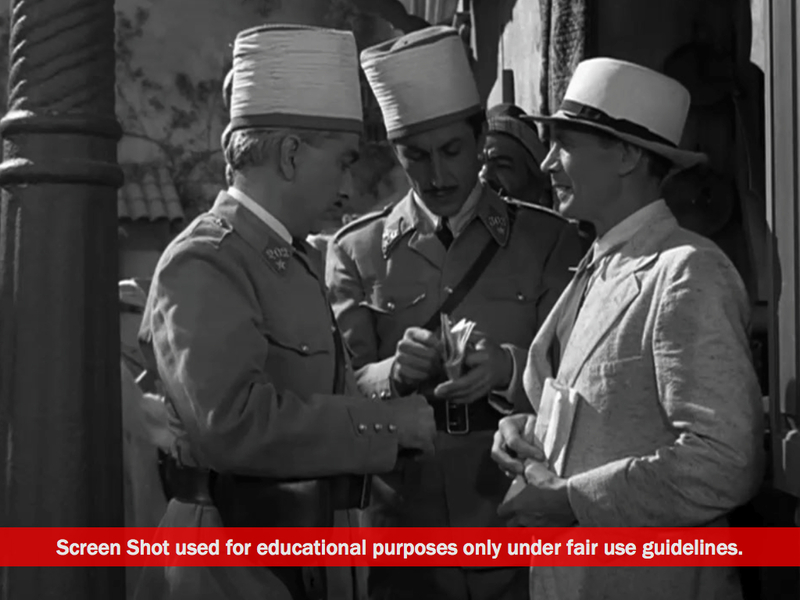 The action opens with a French police officer making an urgent announcement into a radio microphone: Two German couriers with “important official documents” were killed on a train and the murderer is headed toward Casablanca. All “suspicious characters” are to be rounded up and searched. The official documents, it turns out, are a big deal. They are two “letters of transit signed by General de Gaulle,” which “cannot be rescinded, not even questioned.” There’s no mention why these documents exist or why they are so powerful. The fact is, they are “Get out of jail free” cards. 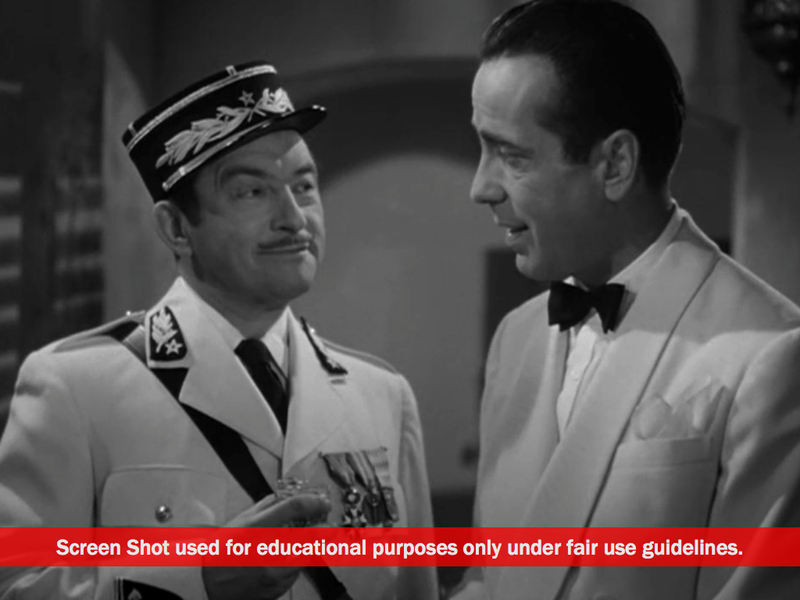 A letter of transit allows you to leave Casablanca without question or interference. The police begin their work of rounding up and questioning suspicious people. One unnamed person is found to have “expired” papers. He tries to run and is shot and killed in front of a painting on a wall of Marshall Petain, the head of the “Vichy” government that has cooperated with the Nazi invaders of France to govern “unoccupied France.” The words on the painting read, “Je tiens mes promesses, meme celles des autre.” [“I keep my promises, just as I keep those of others.”] There is a kind of brutal irony here in that the dead man is found to be carrying papers connecting him to the French Resistance, meaning that the promises kept by the Vichy government are those made to Germany, not to its citizens and/or others with the nationalist instinct. 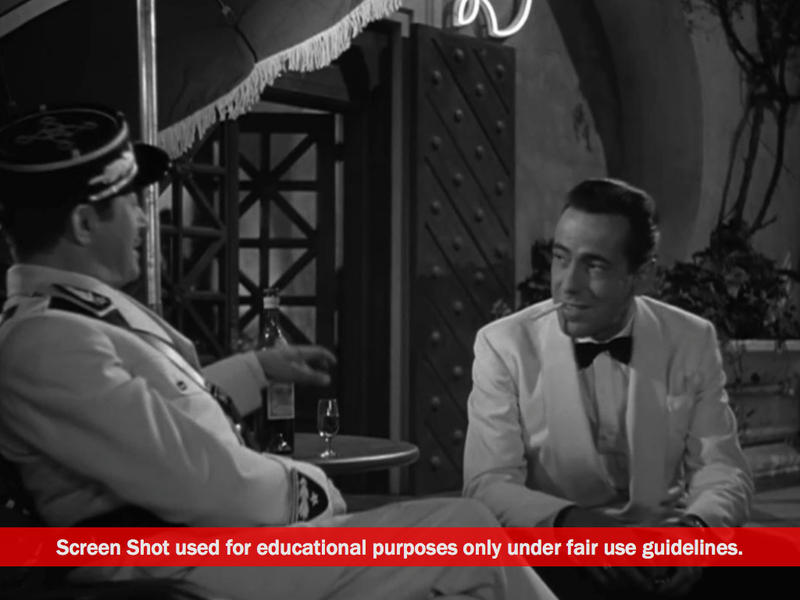 In Casablanca, not only is your life in danger, so is your property. 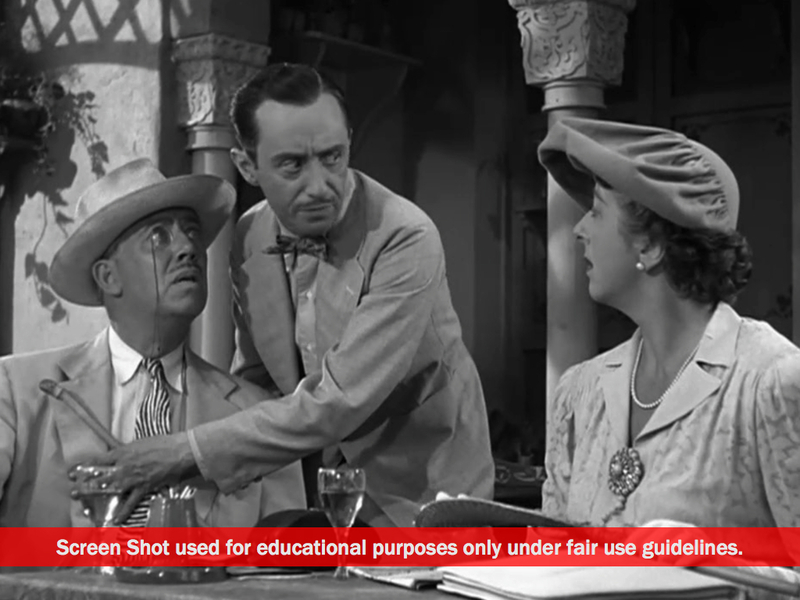 An English couple is trying to understand the commotion in town and a pickpocket takes advantage of the moment to kindly explain the political situation while unkindly relieving the man of his wallet. 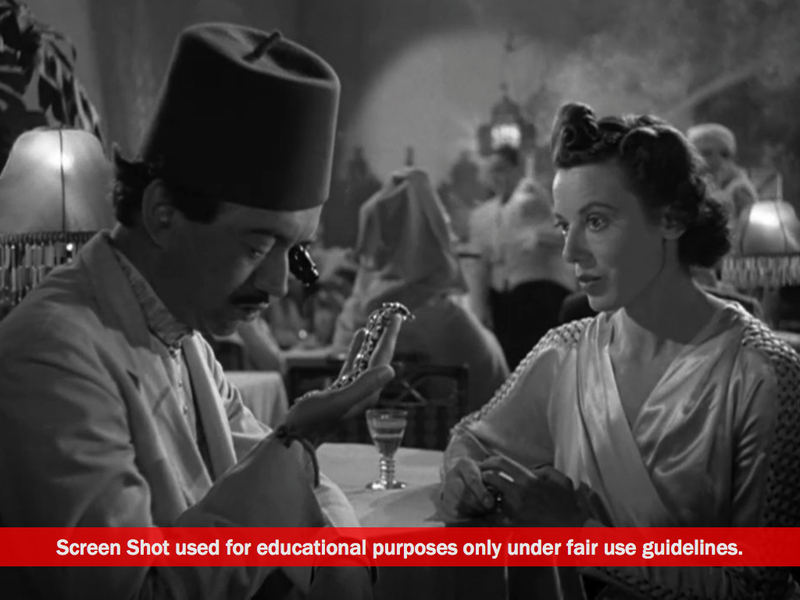 The action is interrupted by the arrival of a plane to Casablanca. Everyone, except the police it seems, are focused on the plane, which provokes an emotional reaction from the crowd. 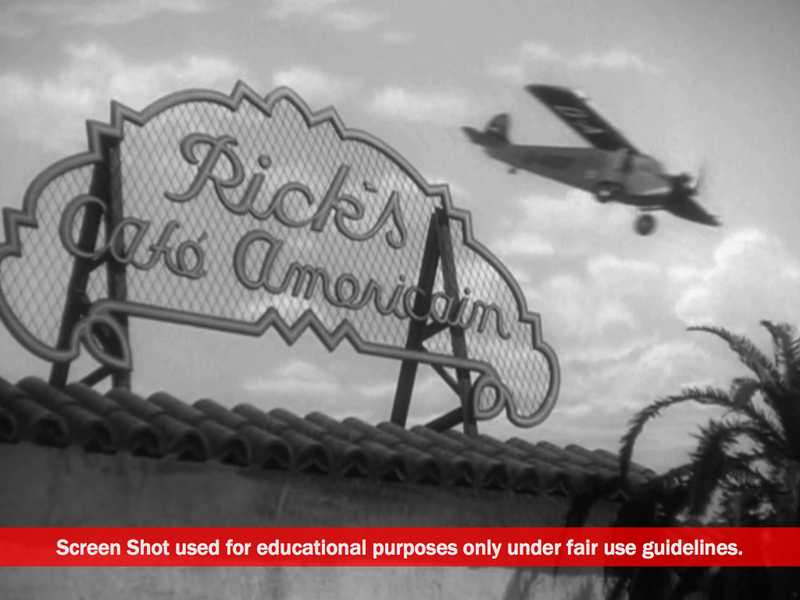 We’ve already had a glimpse of Rick’s Café Americain in the daylight as the Nazi plane landed. Now it’s night, and the action moves inside Rick’s, a classy and popular nightclub. Among the “American” features of Rick’s is a great jazz band, led by an African-American piano player and singer. Underneath the party atmosphere are darker things. A man is in despair as he contemplates his end. He says, “I’ll never get out of here. 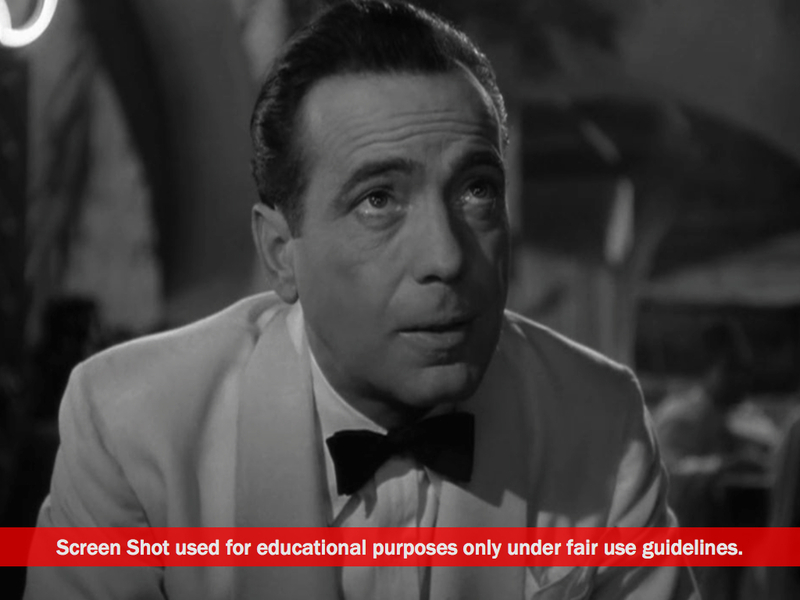 I’ll die in Casablanca.” The man listening to him doesn’t appear all that sympathetic. 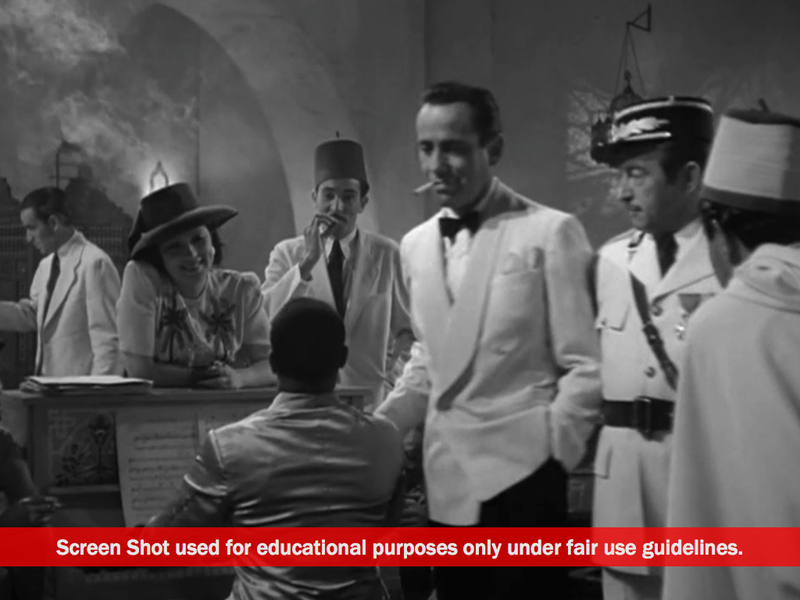 A woman sells some jewelry, one assumes to buy her way out of Casablanca. Her dilemma is that she can’t get a good price because everyone is selling diamonds. So she accepts what is offered. At another table there is conspiratorial talk about trucks that “are waiting.” With a quick touch, the man who is listening silences the man who is speaking as a couple of Nazi officers walk by. Finally, we see one man offering another an escape from Casablanca. A fishing boat, Santiago, will be leaving the next night. For fifteen thousand francs in cash he can get on it. It’s important that the payment is made in cash. There’s a lot going on in this café. Everybody, indeed, does come to Rick’s. Languages and nationalities abound. Sacha, the bartender, serves a drink and offers a greeting in Russian to a gentlemen who offers a thoroughly British, “Cheerio!” in response. The employees of Rick’s appear to be from everywhere and, perhaps, have been everything. It is a time of displacement. Carl is an overweight and friendly German (later we’ll learn that his sympathies are with the French Resistance) who is addressed as “Herr Professor” by a door man, Abdul, a local you imagine. 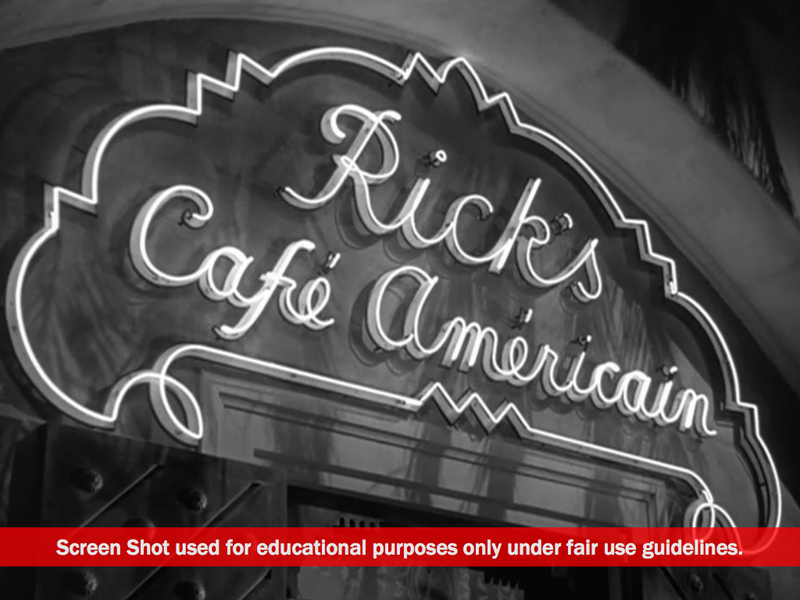 The door takes us into a separate gambling room where we meet the man for whom Rick’s Café is eponymously named. We are introduced to Rick carefully. A couple of women ask Carl if Rick will have a drink with them. Carl says, “Madame, he never drinks with customers. Never. I have never seen him.” From the dialogue we learn that many people in the bar—both employees and customers alike—had lives of status and significance. The war has required adjustments. Before we see Rick’s face we see his hand. 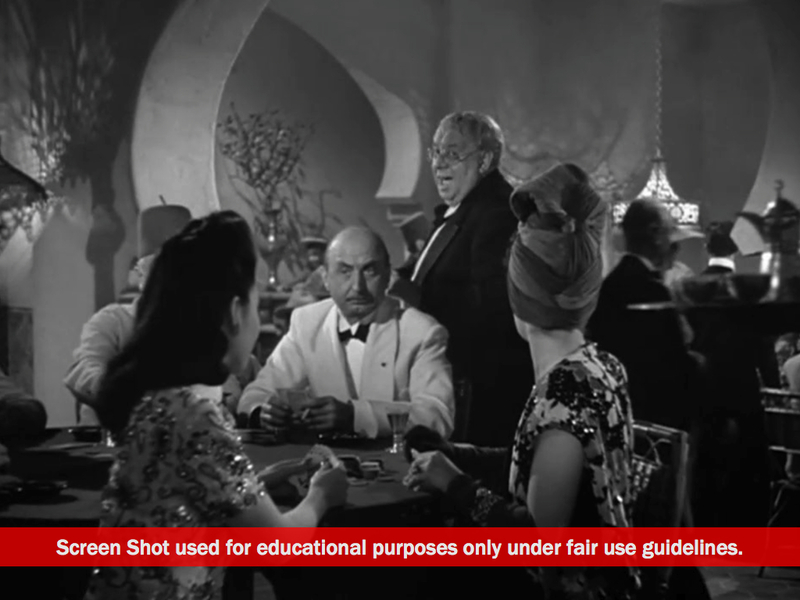 He is actively involved in the running of his casino as he okays a check for a thousand francs as a gambling payout. We also observe that he is a saloon keeper who drinks. The first shot of Rick shows him playing chess by himself and smoking. But he is not merely keeping to himself. 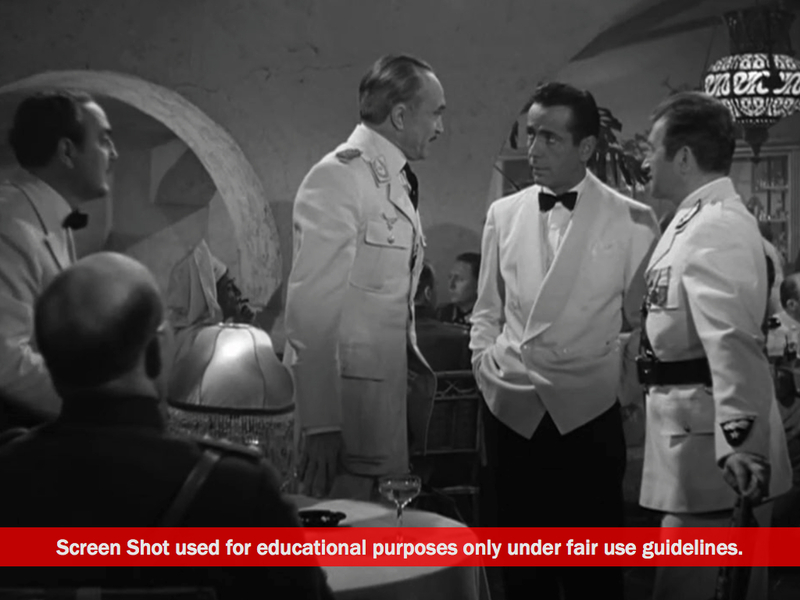 While Rick and the German have their confrontation, a man named Ugarte enters the room. 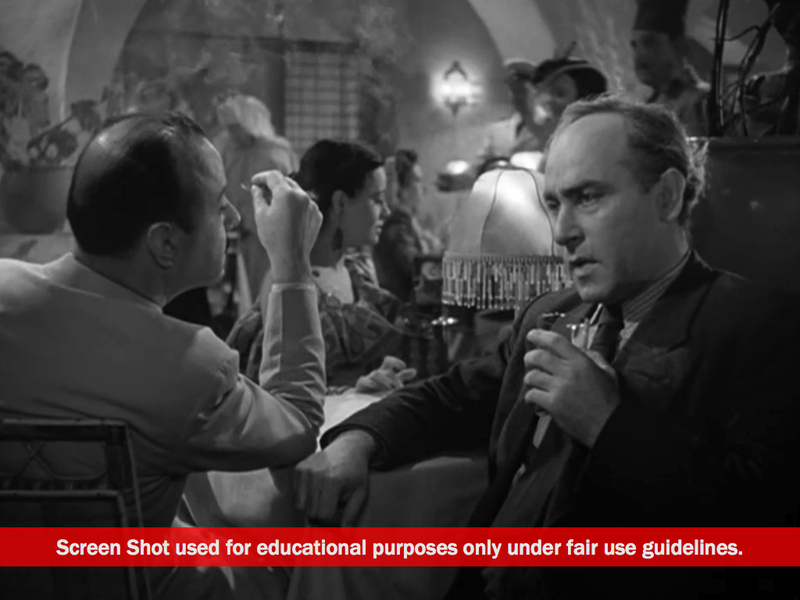 As Rick returns to his seat, Ugarte engages him in conversation. Rick shows little interest. There appears to be a respect differential here. Clearly, Rick doesn’t have any for Ugarte, but it’s also very clear that Ugarte is determined to have a conversation with Rick. It’s rough at first. We find out that there is a business for getting refugees out of Casablanca. The Police Captain, Renault, has one price. 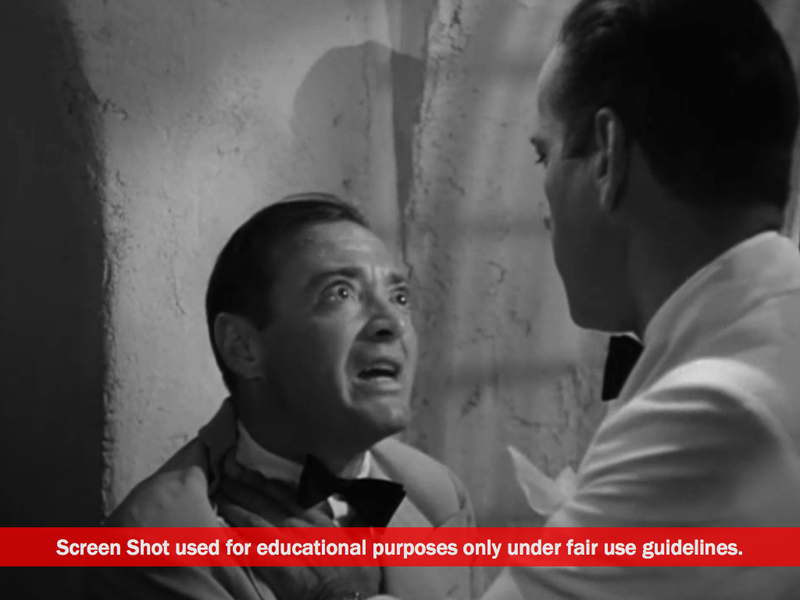 Ugarte is cheaper. 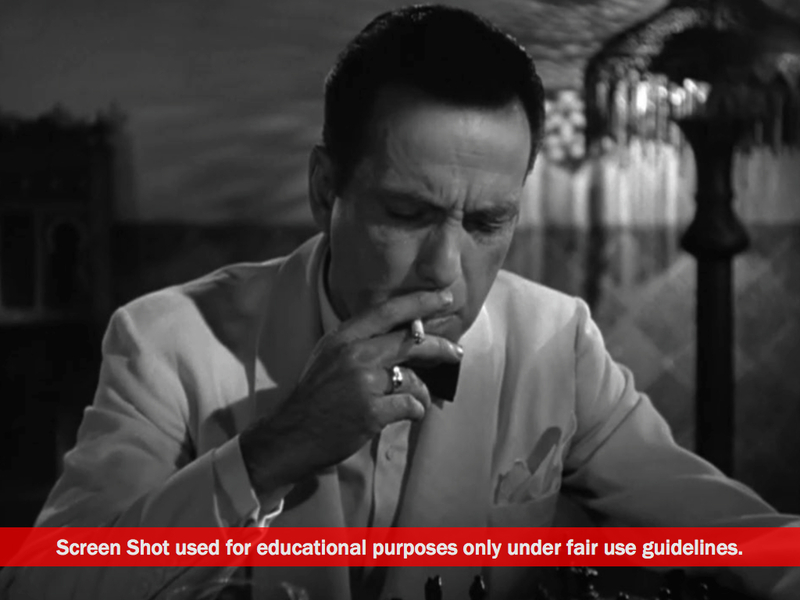 Rick is dismissive of Ugarte until Ugarte reveals his plan to make a fortune on one deal. 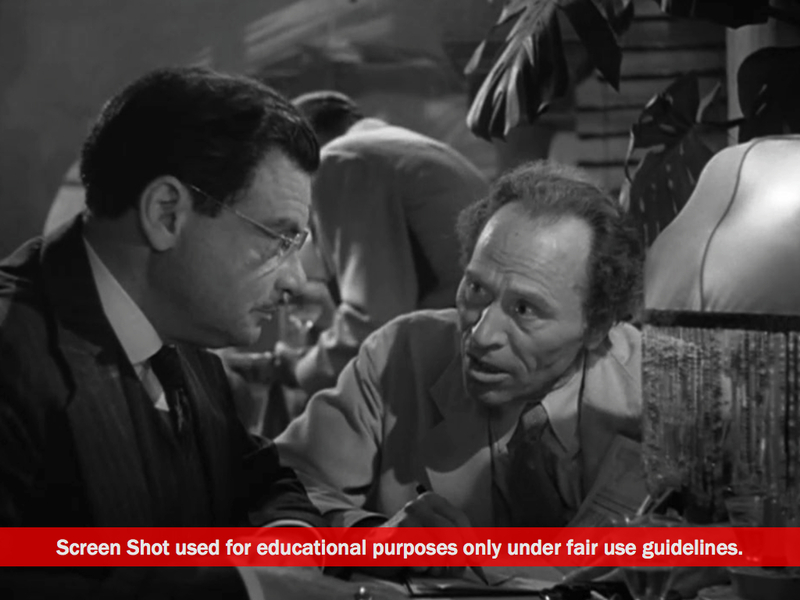 Ugarte lays some papers down in front of Rick. They are the stolen letters of transit. He has a plan to sell them that evening but doesn’t want to be caught holding them himself. So he turns to Rick and says, “You know, Rick, I have many friends in Casablanca, but somehow, just because you despise me, you’re the only one I trust.” Rick agrees to hold them, but makes it clear that he doesn’t want them overnight. 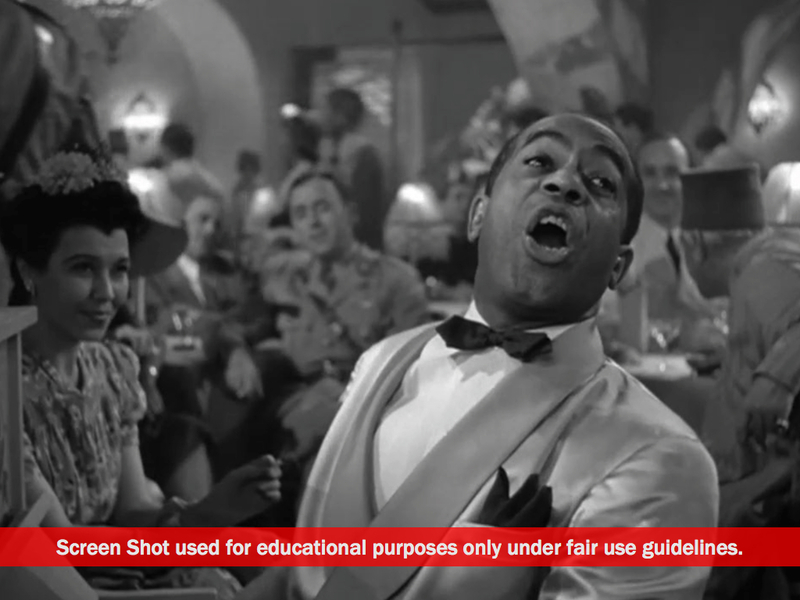 Rick leaves the casino and enters the main bar during a musical number. When the lights are low, Rick places the letters of transit into the piano for safe-keeping. It appears he doesn’t want to be caught with these letters of transit either. We learn that Ferrari is in the black market and would like to be working with Rick. When Ferrari suggests that they see if Sam is interested in making a change, Rick agrees to ask. They walk over to Sam and Rick tells him that Ferrari wants to work for him at The Blue Parrot. Sam declines. “I like it fine here,” Sam says. Rick counters, “He’ll double what I pay you,” and Sam replies, “Yeah, but I ain’t got time to spend the money I make here.” There appears to be a deep loyalty between Rick and Sam. We’ll never understand where that loyalty comes from, but we’ll find out soon that it’s fierce and that Rick and Sam go back a ways. “Where were you last night? Captain Renault watched the end of this unfolding melodrama from a table outside Rick’s. After the taxi leaves, he calls out to Rick who comes to sit with him. It’s clear Renault and Rick know each other. More importantly, there seems to be an understanding in each of what the other’s about. They don’t appear to be close friends, but they aren’t antagonists. As the story continues, we’ll see that there is a kind of practical arrangement between the two of them—Rick gets to run an illegal casino and Renault gets to win at cards. It’s a kind of win-win relationship. But there is some distance between the men, too. These are two predatory animals who respect each other’s hunting grounds. 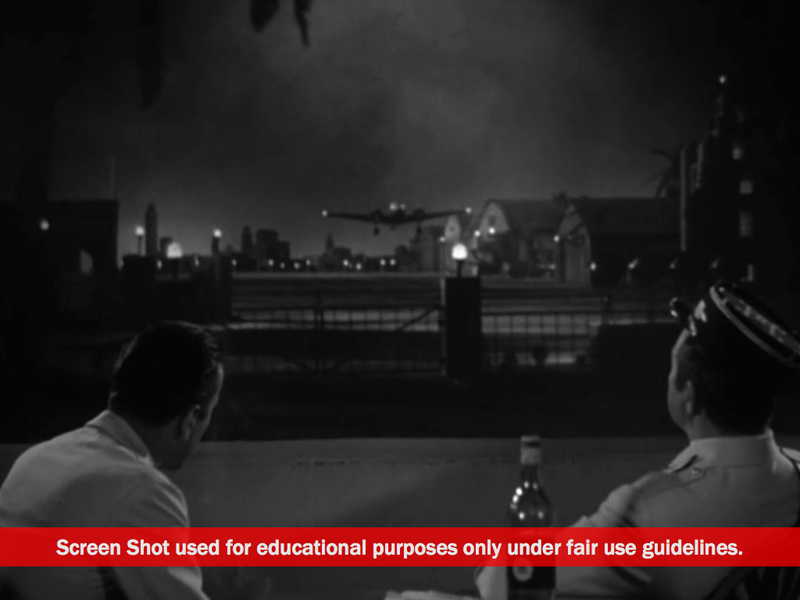 When a plane takes and off and flies overhead, both men stare at it. Rick doesn’t look happy. Renault tries to find out more about Rick who is something of a mystery to him. “I have often speculated on why you don’t return to America. Did you abscond with the church funds? Did you run off with a senator’s wife? I like to think you killed a man. It’s the romantic in me. Rick offers no further explanation. 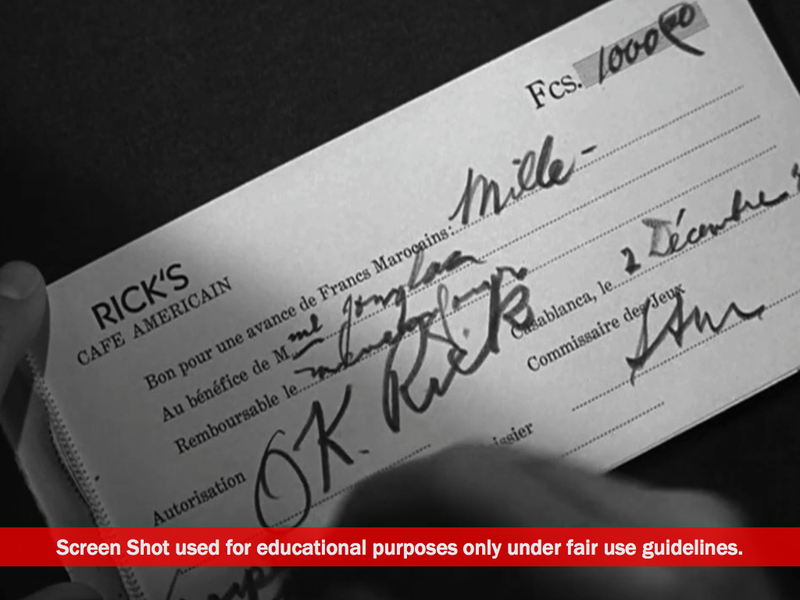 Rick has to go into the bar to take care of a financial matter and Renault goes with him. As they walk past Sam, Rick pats him on the shoulder. As they head toward Rick’s office, Rick and Renault continue talking. Renault informs Rick that there is going to be an arrest in his café. Rick offers an annoyed, “What again?” But Renault responds, “This is no ordinary arrest. A murderer, no less.” Rick’s eyes glance over toward the door of the casino. It seems Rick is thinking of Ugarte and Renault understands all too clearly what’s going on. He tells Rick, “If you are thinking of warning him, don’t put yourself out. He cannot possibly escape. 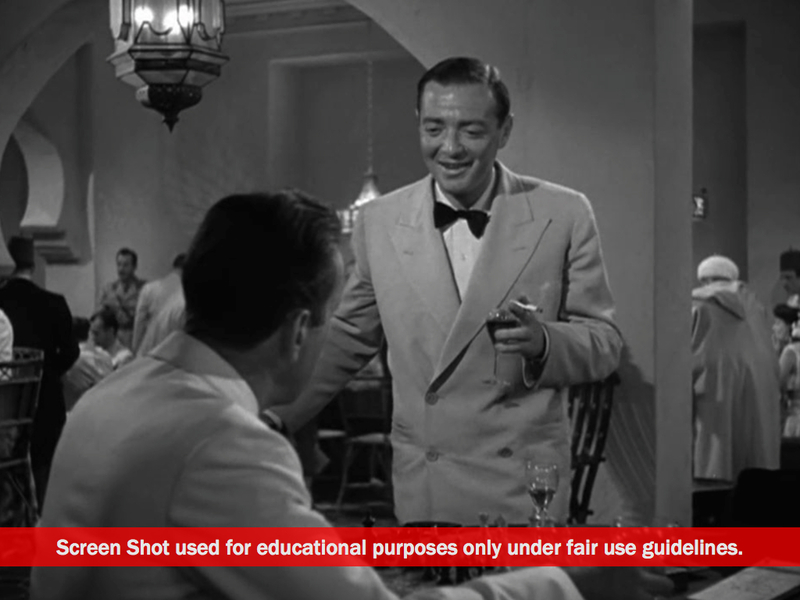 Rick replies, “I stick my neck out for nobody.” Renault assures him, “A wise foreign policy.” This is for another post, but lines like that one that let you know this film is working on multiple levels. It’s a story about Rick the American. 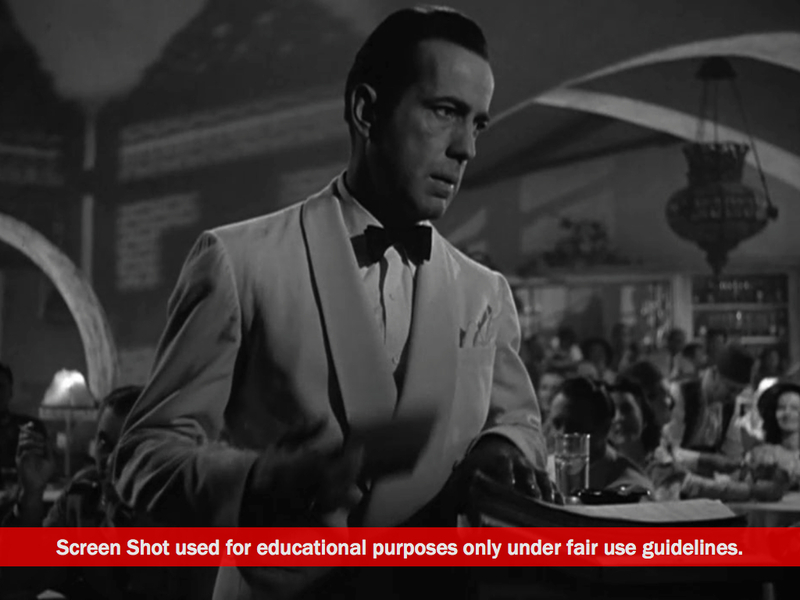 But, released in 1942, it’s also, analogously, about Rick’s America. Inside Rick’s office, Renault tells Rick that Major Strasser will be coming to the café that evening to watch the arrest. He also gives Rick a warning. 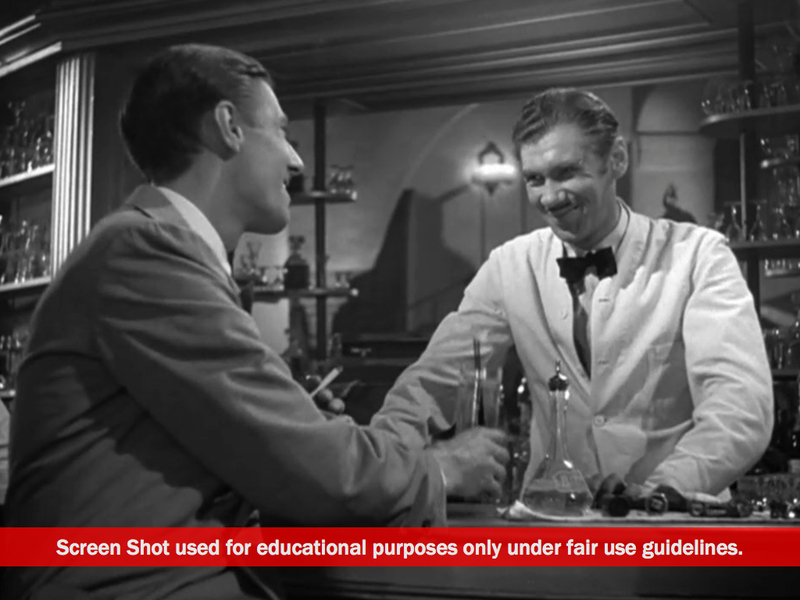 He knows that Rick has never sold an exit visa, which is one of the reasons he is allowed to operate his saloon and casino. But a man is coming to Casablanca who will pay a fortune for one. Rick wants to know who the man is. 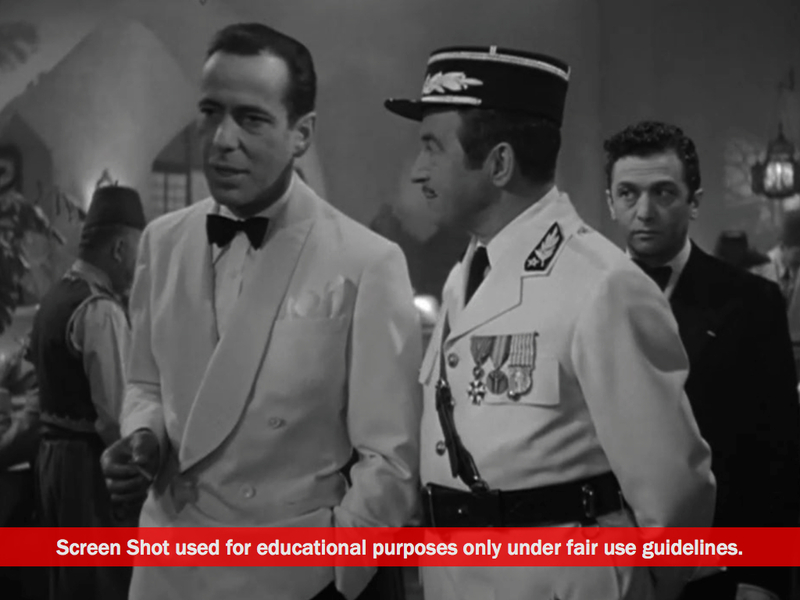 When Renault tells him it is Victor Laszlo, this greatly impresses Rick, who seems well aware of Laszlo, a Nazi antagonist who “has succeeded in impressing half the world.” Renault tells Rick that Laszlo must never leave Casablanca. 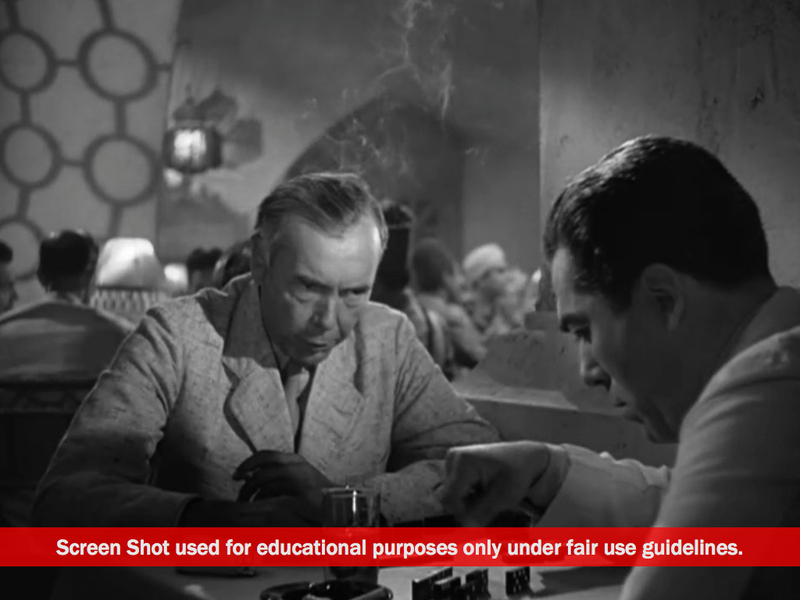 Rick suggests Laszlo’s previous escape from a Nazi concentration camp implies he will get out of Casablanca much more easily. 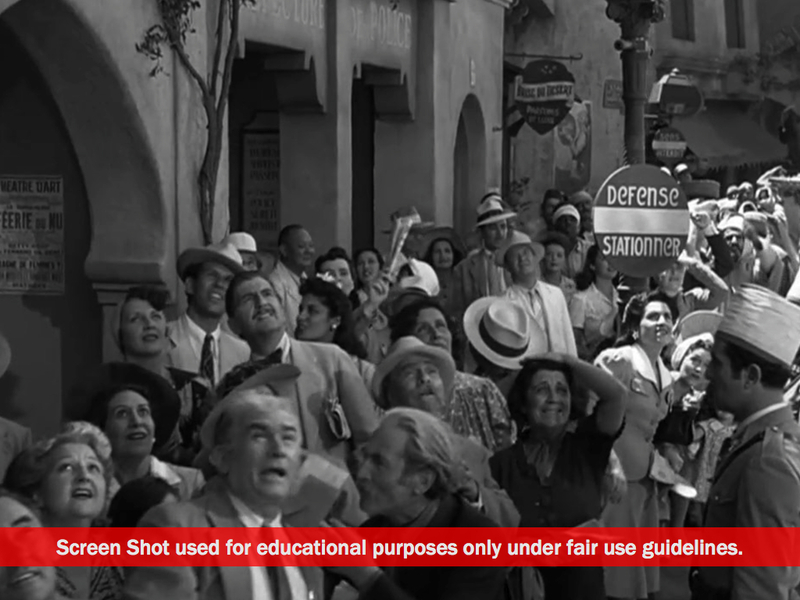 They decide to make a wager on whether or not Laszlo gets out of Casablanca. Renault tells Rick that Laszlo will need not just one, but two exit visas, because he is traveling with a woman. Renault is concerned that Rick may try to help Laszlo and points out that he knows Rick’s past history of fighting for certain causes. 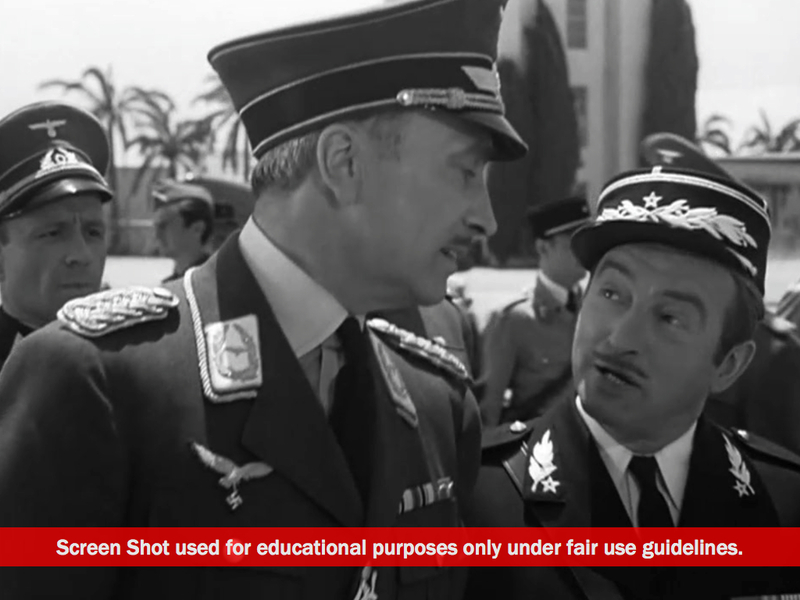 Their conversation is interrupted by the news that Major Strasser has arrived. 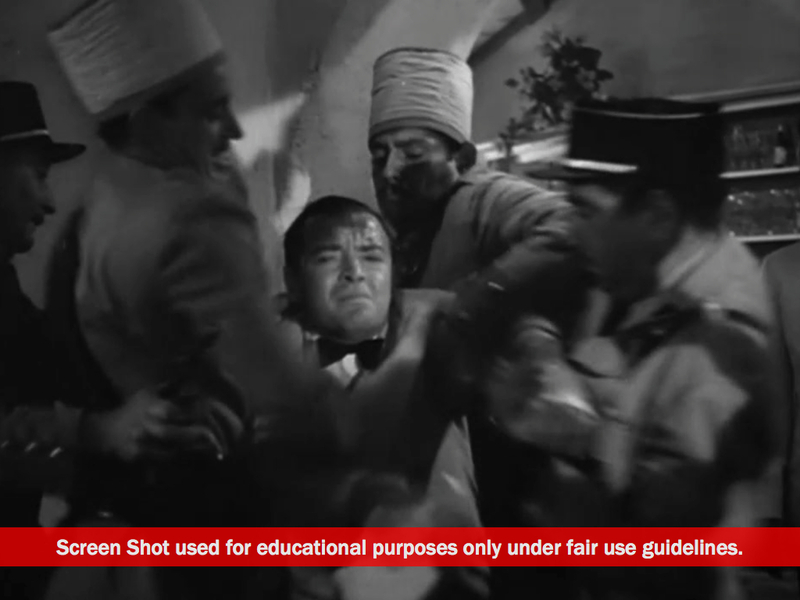 In a dramatic scene involving gunfire, Ugarte is arrested by Renault’s men with Strasser watching. Following the arrest, Rick is introduced to Strasser by Renault. Strasser questions Rick and we learn that Strasser also knows some things about Rick which concern him. As Renault had just done, Strasser makes it clear to Rick that “an enemy of the Reich has come to Casablanca” and that anyone who might be interested in helping him is under Nazi scrutiny. 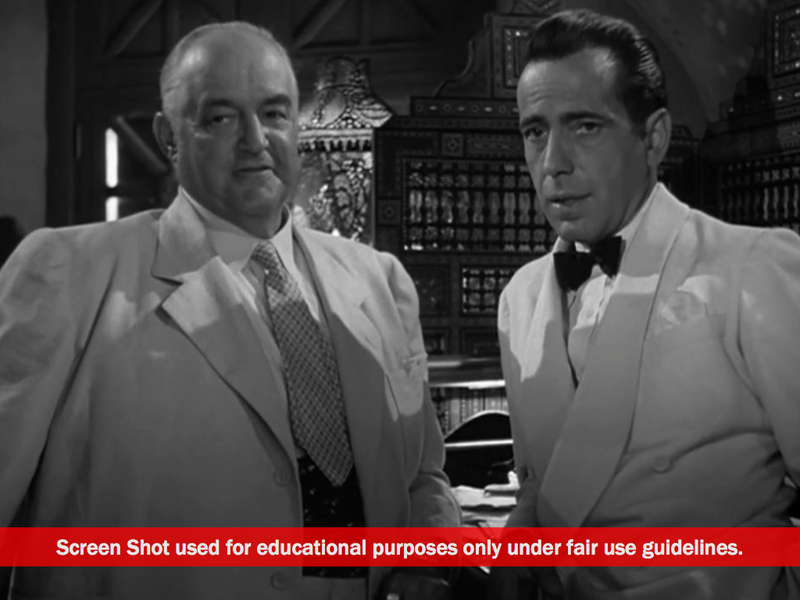 It appears Rick may at one time have been what Strasser would call “an enemy of the Reich,” but Rick states unequivocally that his only mission is running his saloon. 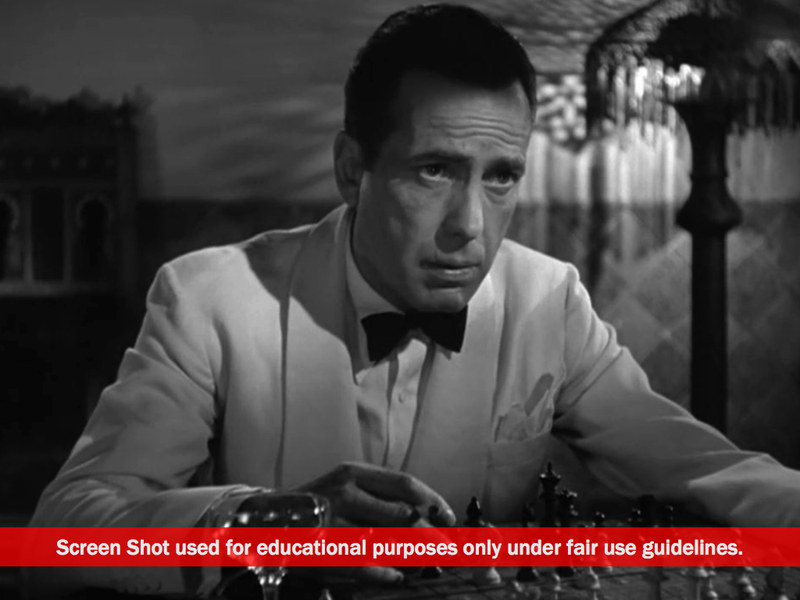 At this point, 25 minutes into the film, not a lot has actually happened, though some key pieces have been arranged on a chess board. Two exit visas have been stolen. The culprit has been captured without them. A Czech resistance leader has escaped from the Nazis and has come to Casablanca to make his way to America to continue his work. 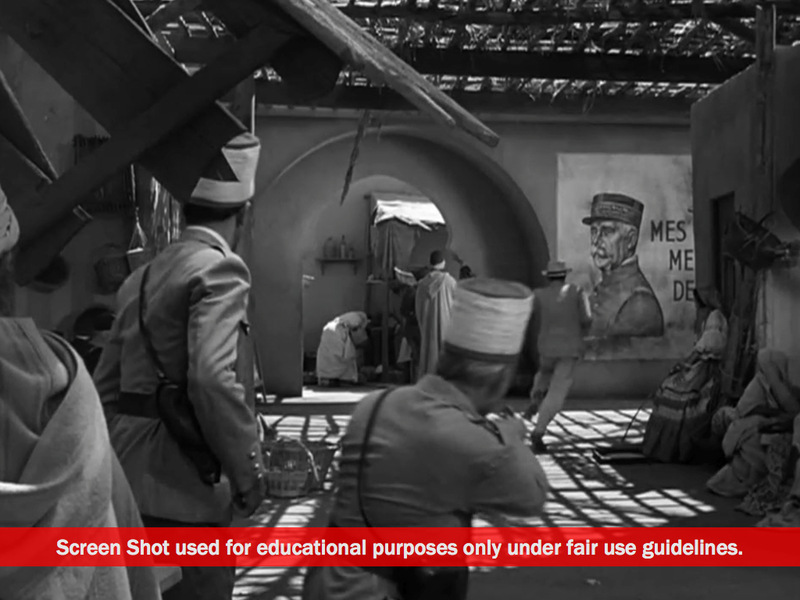 A Nazi officer has come to Casablanca to impress upon the local police that the resistance leader must not leave Casablanca. An American saloon operator with a history of helping out lost causes is told to leave this one alone. 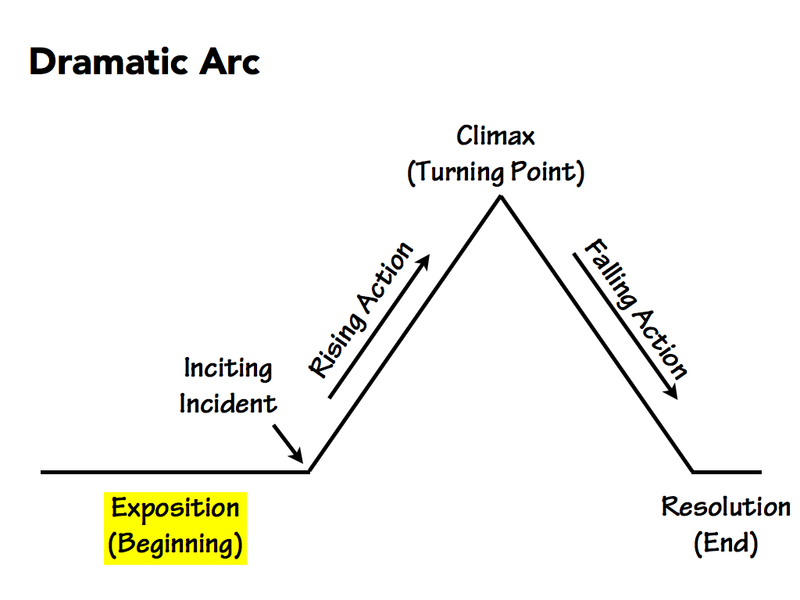 If we follow a typical dramatic arc for a story, we have arrived at the end of the exposition.